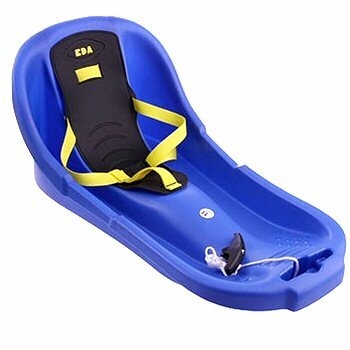 Our Baby Luge sledge in Blue from Eda is ideal both for pulling after you when you are out for a walk, and for sledging down snow slopes. The baby or toddler sits safely and comfortably in the seat secured by a 3-point safety safety harness. The sledge is constructed to give good stability and gliding properties. This makes it safe and fun to ride and easy to pull. Very suitable for 4 months to 3 years.